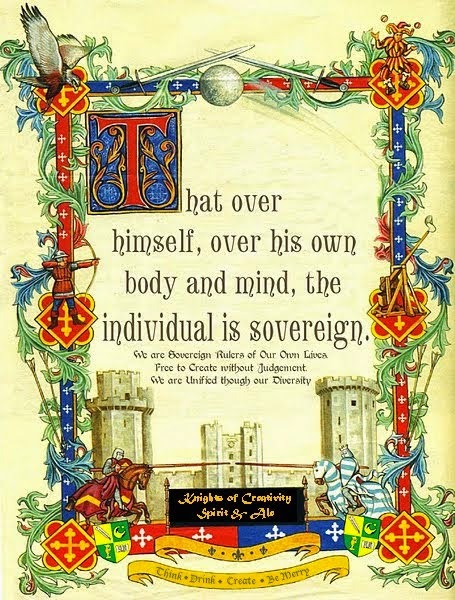 Knights of Creativity Spirit & Ale: Another Knights Road Trip? Which got me curious about Easter and Beer. Are there Easter beers out there? Surely (and stop calling me Shirley), there must be a beer that helps us celebrate the Lenten season the way "the monks of yore" did. 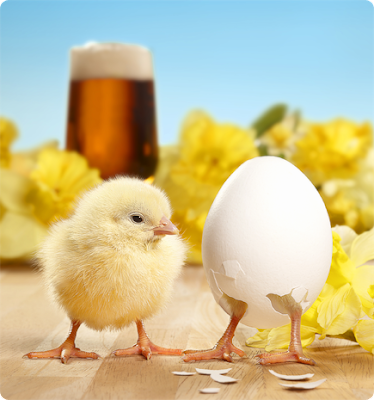 There is the Carlsberg Group: If you want to try a different approach to Easter, then you should plan a visit at Carlsberg to taste the Easter and Spring beers and learn a bit about them as well. 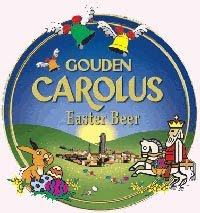 And then there is Gouden Carolus' Easter Beer (3.97, 10% ABV) -- reviews as a dark beer, ruby-red colour, and somewhat spicy. There comes a time in each of our lives when we outgrow some of the very fun things that we truly loved to do as kids: Waiting up for Santa on Christmas Eve, sorting our candy after a very productive evening of trick-or-treating, and of course, the all-important Easter Egg Hunt on Easter morning! Unfortunately, we can’t help you with Santa or the trick-or-treat thing, but we do have a fabulous idea to bring back the joy of the Easter Egg Hunt for that kid in each of us. First, the people involved must have a genuine appreciation for beer. Secondly, they must have a genuine appreciation for having fun. If you have both pieces of this puzzle, then you have what it takes to put together a really great Easter Beer Hunt! 1. Get a bunch of different brands and styles of beer. The better the mix, the more fun it will be for the “beer hunters.” We recommend about 8 to 12 beers per hunter. Some will get more and others less, but it guarantees at least a nice, mixed 6-pack for even the slowest of gatherers. If you know what some of the hunter’s favorite beers are, throw a few of them in as well - there is sure to be some trading going on when all is said and done. 2. Decorate the beers. Use your imagination and be as creative as you can here. Paint, ribbons,Easter stickers, construction paper, gift bags… you get the idea. Just make ‘em really cool and fun to find! 3. Gather the hunters. This can be from one to as many people as you want. 4. Hide the Easter beers. Again, creativity is very important here. Don’t make it too easy, but make sure no beers remain un-found - that would be a dirty shame. 5. Now there are two standard ways of conducting the hunt, however, feel free to make your own rules. If you have a bunch of guys who just want to party, then they must drink each beer they find before they can hunt for the next one. Be sure its not too hot out because it’s no fun drinking warm beer. If you want a somewhat mellower experience (no drunks), conduct the hunt in the traditional manner... Find a beer, put it in your basket. Use 6-pack carriers for the hunters to gather their beers in. 6. The most important rule of all - Have Fun! 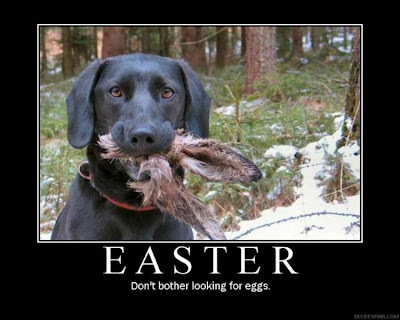 For videos, just search "Easter Beer Hunt" and dozens will show up! A little history. 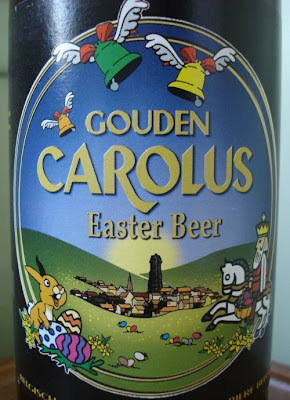 The Easter beer mentioned a long time ago at the top of this post is Gouden Carolus of Brewery Het Anker -- one of the oldest breweries in Belgium. The brewery first appears in the records of the city of Mechelen in 1369. In spite of that small-scaliness , a large part of the beer has been nevertheless intended for the foreign country market (Japan, Mexico, United States, Denmark, Italy, France, the Netherlands, Great Britain, Scandinavia, Canada, Australia, Poland, Vietnam and others). 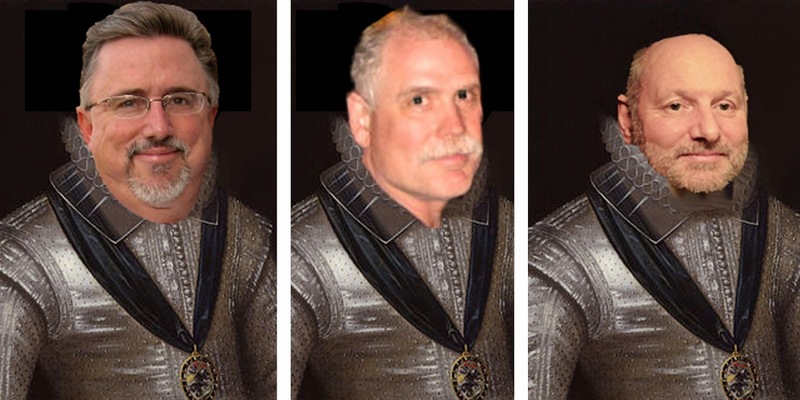 Now, what about that Knights Road trip? 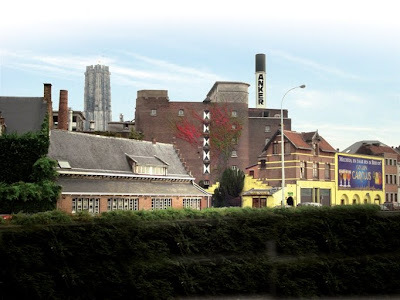 In August 1999 Hotel Carolus is opened in the old stockrooms of Brewery Het Anker. This hotel is unique in Belgium, it is the only hotel that is on the site of a still functioning brewery. I'm game. Of course, Sir D can shuttle on over there anytime and report back if it's worth the trip. I love the Easter Beer Hunt. Starting to hide them as we speak.